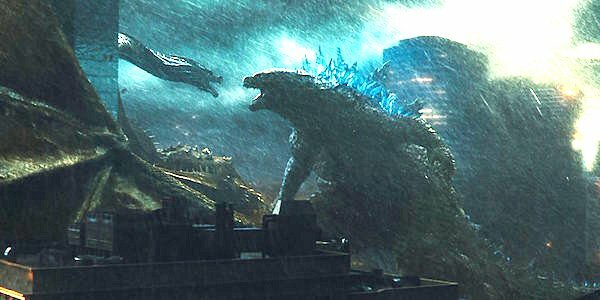 Godzilla: King of the Monsters is already packed with all the monsters you can ask for, but sharp-eyed fans might be able to spot some callbacks to other monsters that Godzilla has beaten to a pulp. In fact, there are theories that more monsters (or Titans as they are called in the sequel) will pop up before the credits roll. O’Shea Jackson Jr. obviously can’t give away anything specific, but some easter eggs will send moviegoers rushing to the internet to look up what they just saw. O’Shea Jackson Jr. stars in the film as a colonel who leads a military squadron that runs missions directly related to the Titans that are hidden across the world. Jackson wanted to be in the film because he’s such a huge fan of Godzilla and told Collider that he was nerding out hard noticing all the references to other Godzilla films. Being a fan of the franchise, it must have been a real treat for O’Shea Jackson Jr. to be in the sequel — especially one where Godzilla takes on his arch-nemesis Ghidorah. Indeed, the coolest part of the movie to Jackson was pretty much anything that had to do with the lightning-breathing three-headed dragon. Based on the trailers alone, I’d say I have to agree with Jackson that Ghidorah looks rad as hell, and I’m pumped to see him in action. If you thought the 2014 Godzilla was light on action, then this sequel is definitely trying to make up for that.